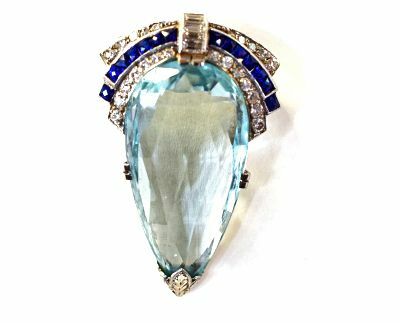 A stunning Art Deco 18kt white gold brooch or pendant featuring 1 pear faceted cut medium intense blue aquamarine, est. 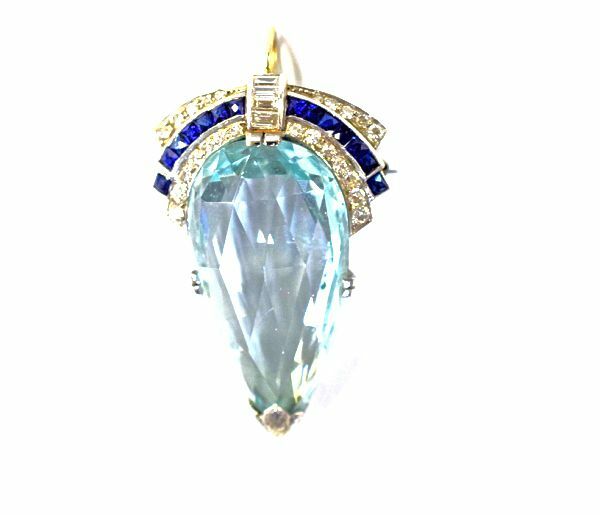 35.36ct; 14 square cut deep blue sapphires, est. 0.38ct and 24 single cut diamonds, est. 0.38ct (VS clarity & G-H colour). The concealed hinged bale allows it to be worn as a pendant.